The FX AlgoTrader Multi-Currency Range Analyzer is based on ATR data (ATR represents the AverageTrue Range for a currency pair. ATR is a measurement of volatility. It was introduced by Welles Wilder in his book: 'New Concepts in Technical Trading Systems'. The average true range is a moving average (generally 14 day) of the true ranges. Welles Wilder originally developed the ATR for commodities but the indicator can also be used for stocks, indices and FX. The FX AlgoTrader Multi-Currency Rangle Analyzer allows a trader to see market volatility at a macro level and consequently select the optimum pairs to focus attention on for trade selection. 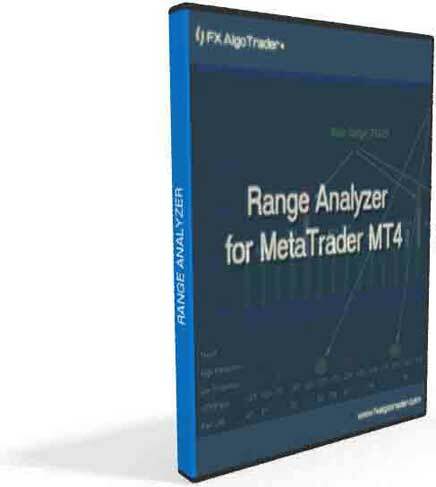 The FX AlgoTrader Range Analyzer provides automated breakout and range analysis on over 20 forex pairs in real time. 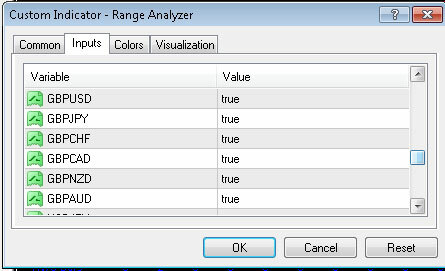 The range analyzer calculates the current daily achieved range for each analysed pair and displays the data using a histogram. This allows traders to make easy side by side comparisons on which pairs are most active in the market. The range analysis is based on ATR (Average True Range) data using a 14 day moving average. 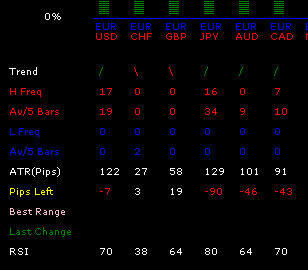 The Range Analyzer provides forex traders with frequency counts as new highs and lows form in real time. 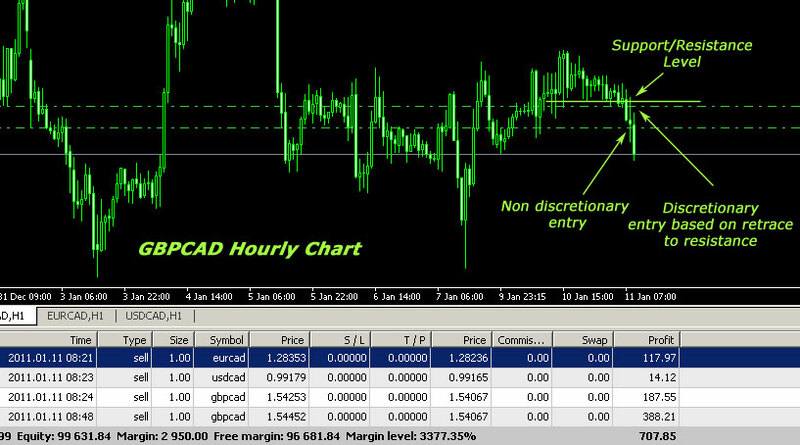 This provides highly indicative forex trend data essential for intraday fx pair selection. Analytical Data showing frequencies of new highs and lows and number of pips left before full ATR is reached. The forex pairs are grouped logically which allows a speedy assessement of the relative currency strengths across the major forex pairs. 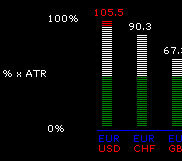 The FX AlgoTrader Real-Time Multi-Currency Daily Range Analyzer provides a unique multi-currency daily range overview for 24 forex currency pairs on a single chart pane. 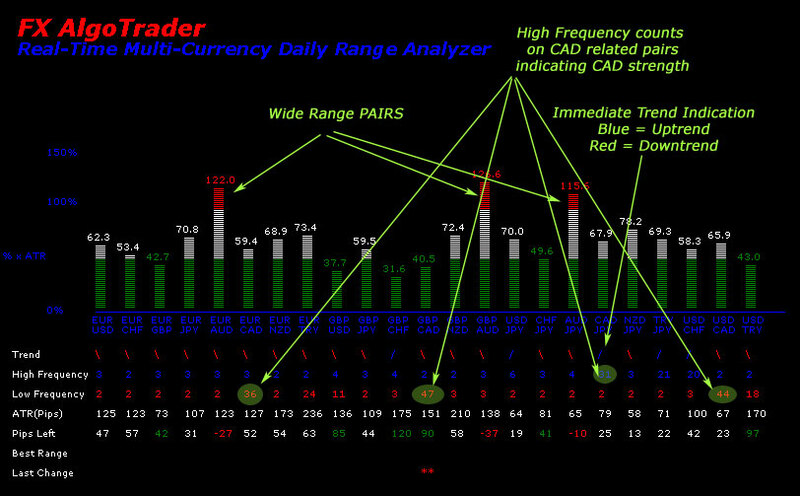 The multi-pair currency range analyzer is fully configurable and allows traders to create their own custom forex candidate pool for automated analysis.